TMC600 marking system controller runs the Merlin® Touch PS software and provides a touch screen user interface for operating the marking system. The controller features an integrated, 10-in., high-resolution, touch screen monitor in the top panel. The back panel of the controller provides the electrical interfaces for connecting to the marking system and optional, remote I/O sources. 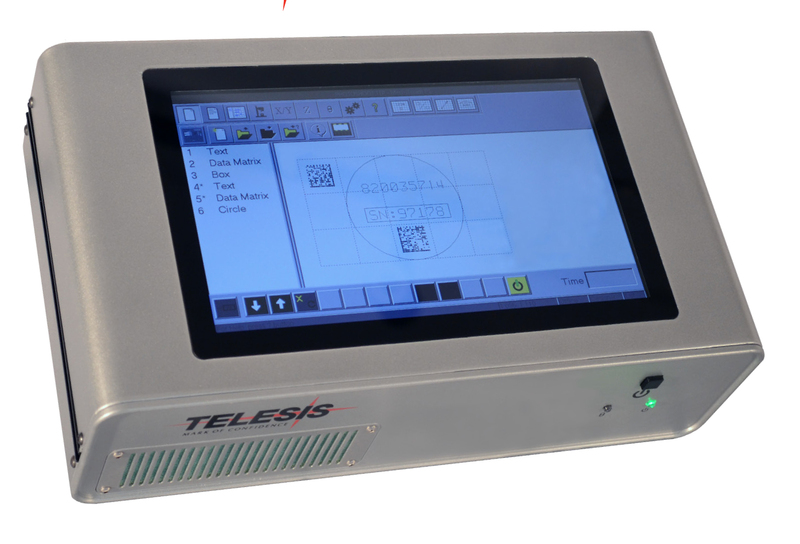 The powerful Telesis Merlin®Touch PS software is a Windows® based software package that comes installed in the TMC600 controller. It is a graphical user interface that makes pattern design and marking quick and easy. The WYSIWYG (what-you-see-is-whatyou- get) interface provides a scale image of the pattern as it is created. 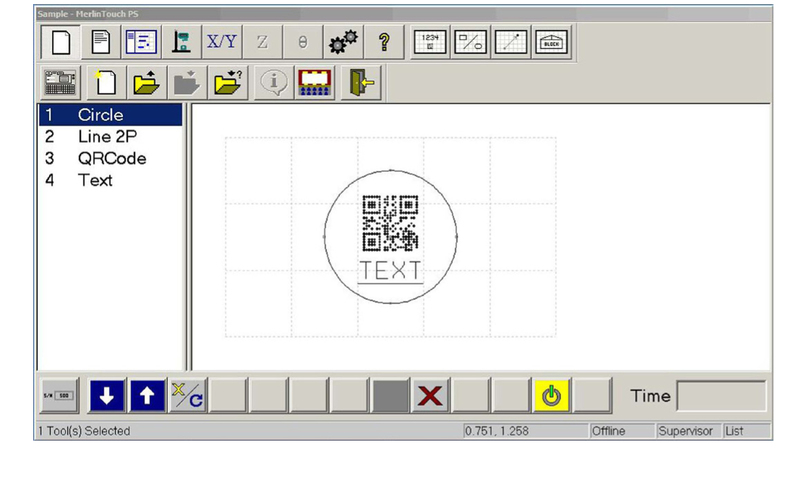 The Merlin®Touch PS software includes tools to create and edit pattern files for marking. Each pattern can contain one or more fields; each field defines a single object. Printable objects may be created consisting of any combination of text strings, arc-text strings, geometric text strings, geometric shapes, graphics, and machine-readable data matrix symbols. Just “click and drag” for immediate adjustment to object size, location, or orientation. Printable text fields may include alphanumeric characters, symbols, and special message flags. Message flags automatically insert data into the text string, such as serial numbers, times, dates and user-defined codes. Multiple fields may be grouped and saved as a block to form a logo. Existing DXF files can also be imported for marking. Non-printable fields can be created to clearly display a graphical representation of the part being marked. Commands may be defined.